Those of you who have been following my blog and Facebook page might have noticed that I have an incurable sweet tooth. I love cakes and pastries. Unfortunately, I have not seemed to be able to acquire the skill of creating a cupcake that remotely looks adult and elegant. 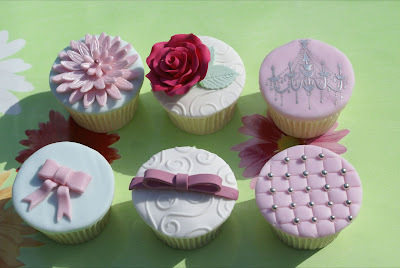 The other day, I was excited when I was forwarded some information about these wonderful cupcakes. 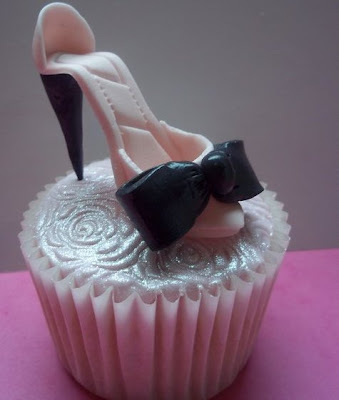 Even better is knowing that I could learn the secrets of making 'couture' cupcakes and 'vintage' cupcakes...who knew? Cupcakes By Chrissie hosts decorating classes based in Birmingham, in the UK's West Midlands region, and the "cupcake kitchen" has been featured in the UK magazine Style at Home. So I guess I know where I'm headed on my next trip to the UK...! These cupcake decorating classes have attracted hundreds of students from all over the UK and Europe. You can also join their growing Facebook community Cupcakes by Chrissie for cupcake fans to see students work, read reviews and get useful recipe tips. You will find information about the classes on their website. So who's joining me for a class? If any of you attend a class before I do, please let me know how it goes! If you stumble upon any interesting finds, send them to me by email or on Facebook, so we can share the love!